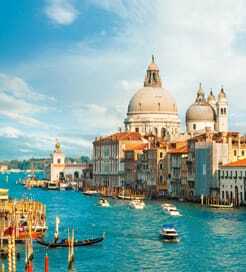 There is currently just the 1 ferry route running between Giglio Island and Italy operated by 1 ferry company – Toremar. The Giglio to Porto Santo Stefano ferry crossing operates daily with a scheduled sailing duration from about 1 hour. Whilst we’ve taken great care to ensure the information on this page is correct, as the frequency and duration of crossings on all routes can vary from time to time we’d advise that you get a live quote for current availability on this Giglio Island Italy crossing between Giglio and Porto Santo Stefano. Giglio Island, or Isola Giglio, is a small Italian commune in the Tyrrhenian Sea, approximately 15 kilometres from the coast of Tuscany. Beautiful beaches and idyllic harbours line its 27-kilometre coast, while mountainous areas and unspoilt terrain dominate the inland, which can be explored via the extensive network of hiking trails. Isola Giglio offers fantastic diving and snorkelling opportunities, too, boasting clear blue waters and vividly coloured marine life and coral reef beneath the waves. If you would prefer to delve into the island’s history, the remnants of a Roman villa can be found in the port area, as well as the church of San Pietro Apostolo which showcases a fascinating ivory crucifix. Giglio Island is a popular day trip destination for Italians, so it offers frequent sailings every day back to Porto Santo Stefano on the mainland. 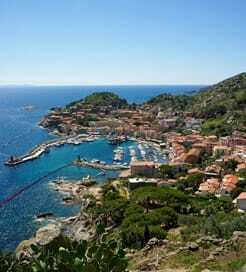 The island’s port can be found on the east coast in the village of Giglio Porto.